In less than 30 hours, the new year will have begun. I feel that 2012 was a year of destruction (of old ways, old patterns and old relationships) 2013 was a year of transformation (finding new paths and new ways of being) and 2014, in my mind, is the year of making things happen. Of creating the reality that we actually want to live in. In order to prepare for a year of making it happen, I feel that it’s important to have a clear vision. The clearer you are about where you want to go, what you want to do and accomplish, the better the reality you will create. 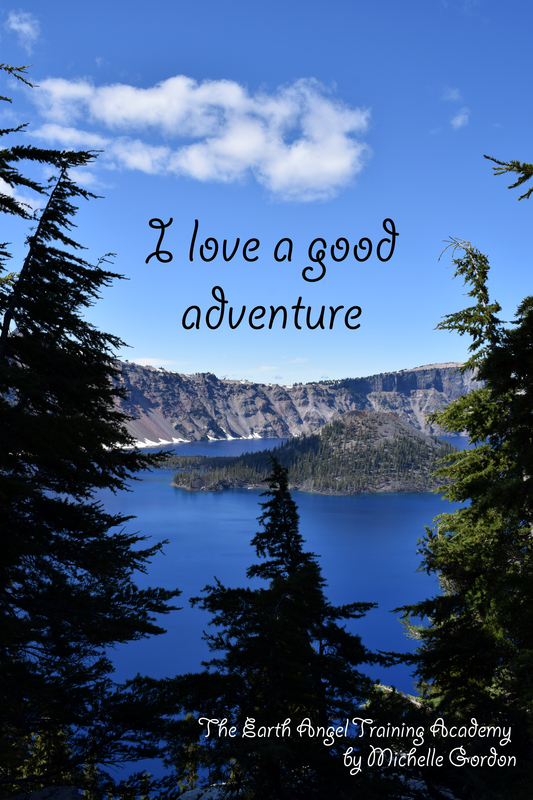 So, to begin with, I have my Vision Board, which I created with my publishing partner and long-time friend – Liz Lockwood. 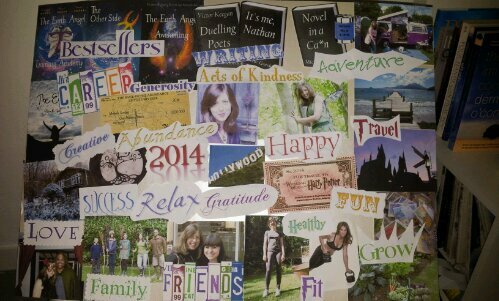 Creating a vision board (or diary – I did a diary for 2013, and many of the things in there came to fruition, but that’s another blog post!) is very simple. You put pictures, photos, sketches, words etc on a board. Preferably in a place where you will see it often, so as to remind yourself to keep your activities in line with you dreams and goals. My board is currently propped up on my desk. I will probably stick it on the wall next to me. Having photos of yourself on the board is important – so that you are placing yourself in that reality. The other thing you could do is simply sketch it. You don’t need to be an artist to do this, stick figures are fine. I watched this great TED talk the other day, where a lady called Patti Drobrowolski demonstrates how to do this. 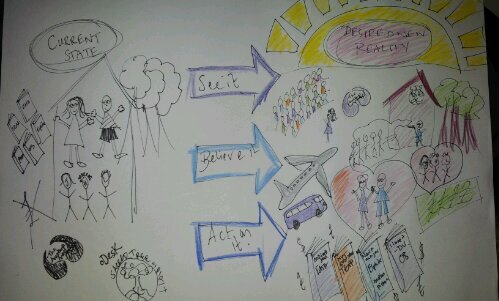 This was my attempt at sketching my desired future! So as you can see, no artistic skills required! But it was good to clarify things, to decide what I wanted. Tomorrow is Marketing Plan day. and I plan to figure out how to market my books, and how to structure my time more efficiently. Which means that by the time January 1st rolls around, I will have in place everything I need to make things happen in 2014. What are you going to make happen?